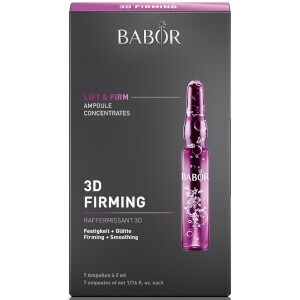 Reboot stressed skin in need of TLC with the Beauty Rescue Ampoules from Germany’s leading professional skincare label, BABOR; a set of seven individually sealed ampoules containing an advanced active concentrate that rejuvenates skin when a hectic lifestyle takes its toll. Innovative, fast-absorbing and highly effective, each serum-based ampoule works to strengthen three vital functions of the skin: the hydrolipid barrier, immune system and moisture storage. 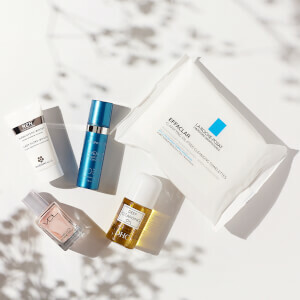 Stimulating healthy skin renewal, the booster revitalises the complexion for restored radiance and vitality. Shake the ampoule before use. Wrap a tissue around the neck of the ampoule, grasp it firmly, and with a sharp movement snap it open at the lower, colored ring. Alternatively, use the enclosed ampoule opener. Pour the fluid into the palm of your hand and then smooth over cleansed face, neck and décolleté. Pat gently into the skin, then apply a moisturizing cream. Aqua, Polyglyceryl-5 Laurate, Betaine, Phenoxyethanol, Carbomer, Parfum, Ethylhexylglycerin, Potassium Sorbate, Sodium Hydroxide, Biosaccharide Gum-1, Plankton Extract, Limonene.